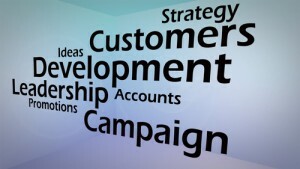 Business development consists of all marketing and sales activities needed to grow an organization. It is essential for the viability and growth of any business. It can consist of direct selling, such as in retail or a service industry, or at a very high level requiring proposals and presentations to achieve success. Leaders are typically involved in business development in some role, such as a sales leader, or as an executive with customer responsibilities. Business development is customer focused and those in this field must be adept at building and maintaining relationships with customers. Leaders also have a responsibility to ensure that all team members realize their behaviors contribute to the success or failure of business development efforts and, consequently, to success or failure of their organization. The leader who understands the business development process can contribute substantially to the growth of an organization. 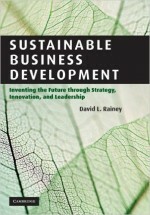 As leaders grow and their responsibilities widen, they are expected to become adept at business development. Knowing business development processes helps the leader expand the relationships necessary for success. Know your organization’s business development processes and your specific role in them. 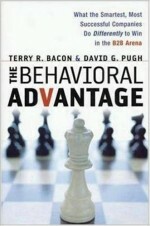 Model behaviors that you see others excel in, especially in developing customer relationships. If you are a technical leader, take steps to learn as much as possible about business development. 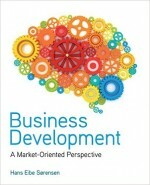 If possible, find a business development mentor who will help you learn and experience business development activities. Be determined to improve your business development skills and behaviors. Take the short business development self-assessment on this page to identify where to improve your business development skills and behaviors. Then, get more coaches’ recommendations in Chapter 11 of The Leadership Compass: Mapping Your Leadership Direction to help you fine-tune your business development skills and behaviors. Measure your business development skills and behaviors! When answering the questions, consider how others might evaluate your business development skills. Congratulations, you have completed the Business Development Self-Assessment. As you review your results, focus on your 2 or 3 lowest scores (1 & 2). Learn more about business development and get the coaches’ recommendations in Chapter 11 of The Leadership Compass: Mapping Your Leadership Direction book to improve your business development results. I understand my role in my organization’s business development process. I develop and maintain strong relationships with potential and existing customers. I know and follow my organization’s business development processes. I work to develop positive differentiation with potential and existing customers. I know and follow through on the perception that our organization wants to have in the marketplace. I share information about a customer or opportunity with the appropriate people in my organization as we prepare an offer. I communicate potential opportunities to the appropriate business development person in my organization. I deliver dynamic and exciting presentations that capture the attention of the audience. I create and use detailed key account plans to drive account activities.